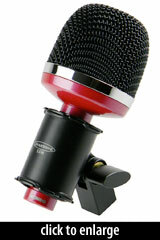 The MONDO is Avantone Pro’s second-generation bass drum dynamic mic, replacing the AMK Mondo in the product line. As with the other 2nd-generation drum mics from Avantone, the new Mondo is built into a diecast zinc body with a narrow shaft designed to fit into the company’s SSM elastic shockmount. 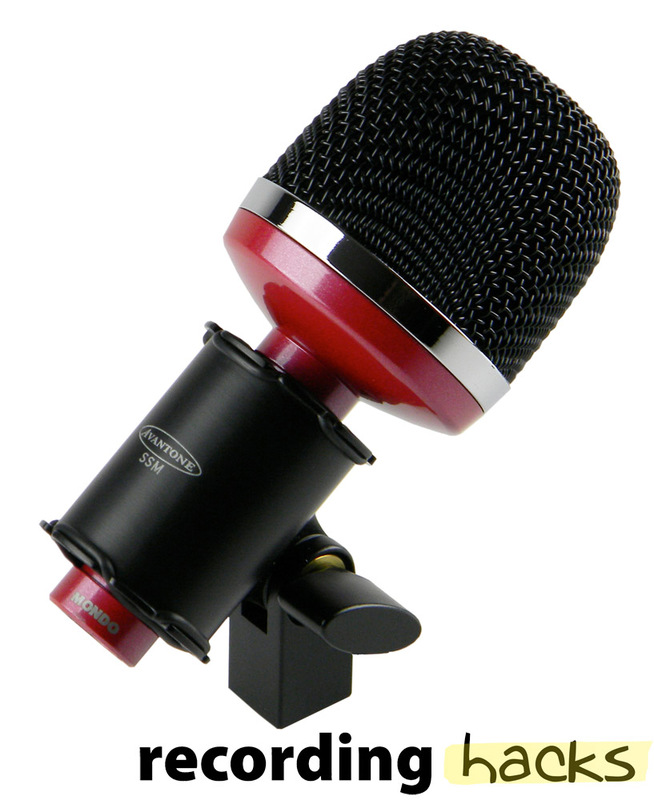 Two machined grooves in the body shaft allow the elastic bands of the shockmount to grip the microphone, preventing slippage even under extreme mechanical vibrations inside a kick drum. The body is finished in the company’s trademark “cabernet” red finish, with a black steel grille and nickel-plated chrome accents. The Mondo ships with the SSM shockmount, in a padded plastic carrying case.